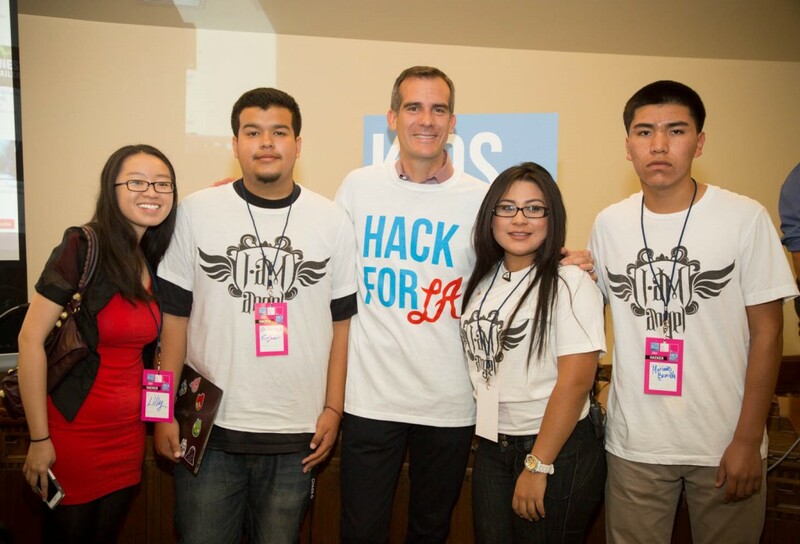 i.am.angel foundation » News » Uncategorized » i.am.angel Students Demo Apps to Mayor Eric Garcetti at Hack for L.A. The i.am.angel Foundation was proud to help bring Hack for L.A. to City Hall for this year’s National Day of Civic Hacking! 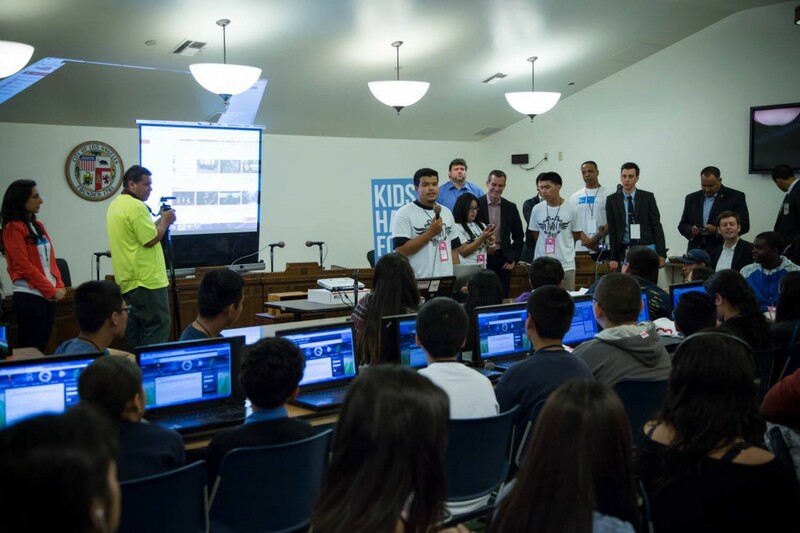 Over 500 hackers descended upon historic Los Angeles City Hall this past weekend to make apps for social good, including over 150 middle and high school students. 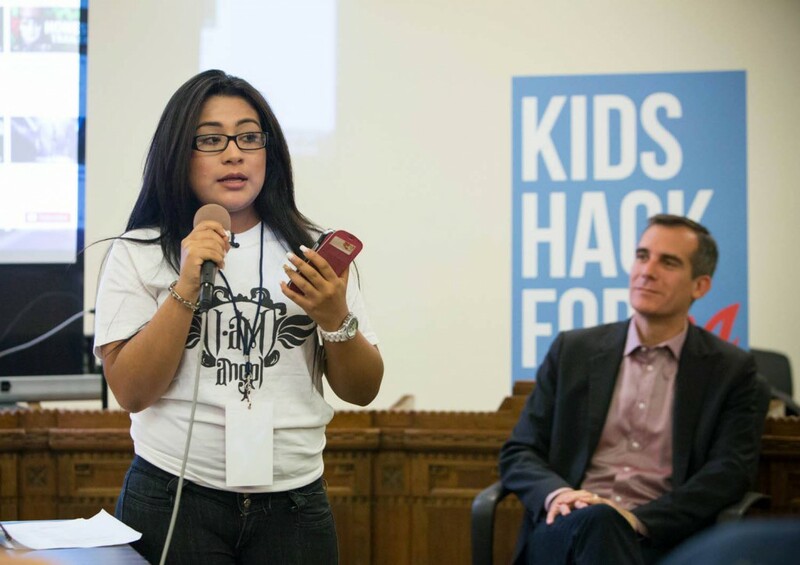 i.am.angel students who were hackathon veterans and winners of last year’s hackathon had the special opportunity to present their app to Los Angeles Mayor Eric Garcetti. Cynthia Erenas, Edgar Gutierrez, and Mariano Bonilla are all sophomores at Roosevelt High School in Boyle Heights, and part of our i.am College Track program. Their award-winning app is a mobile payment platform that will help raise money for college scholarships for students in need. 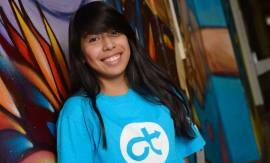 The students came up with the idea a year ago, at the first Hack for LA. At the 2-day event, they put together a simple prototype and business plan for their app, and ended up winning the top prize at the competition — $5,000. The students soon caught the attention of Tango Systems, a Los Angeles-based mobile company that produces a payment app called Tapdn. They were impressed with the students’ initiative to benefit education while supporting local businesses. The company stepped up to mentor the students in coding, design, business development, and to empower them with the back-end technology for their app, to turn their idea into reality. A percentage of transactions made on the students’ app will go to an i.am Scholarship Fund to benefit students from underserved communities. 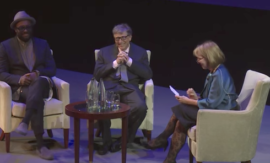 Their story inspired the room full of middle and high school students, most of whom were brand new to coding and making apps. We saw some great ideas come from this year’s hackathon, such as apps to circumvent the LAUSD firewall! 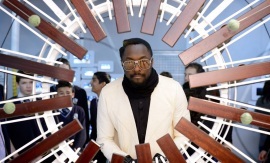 Here are more great pictures of the weekend of tech festivities at City Hall. We also saw another team of high school students take home the top prize, an app that helps bring better resources to homeless shelters. 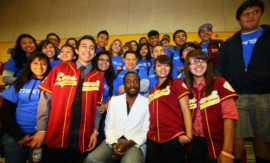 All photos here are courtesy of the Los Angeles Mayor’s Office and photographer Jon Endow.